Last Saturday the Gleneagles Advisory Committee hosted Spring Fest at the Gleneagles Community Centre. There was something there for all ages, from a petting zoo, face painting and bouncey castles, to firetrucks, live music and silent auction items, garden items and more. Thankfully it was a hot sunny day. 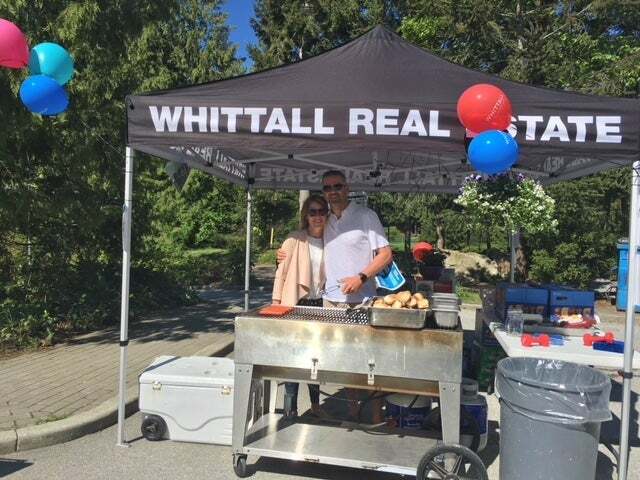 We cooked over 150 hotdogs and sold by donation, raising $450 to go back to the community through the Gleneagles Community Centre. Flour Bakery donated 200 house shaped cookies (see the photos) which were an absolute hit!! Thank you for all of the support! We sure are privileged to be apart of such a neighbourhood.